Challenged with improving the R8 LMS GT3 - a car that has won 115 races and 12 national and international titles in just 3 years - Audi's quattro GmbH skunkworks has created the R8 LMS ultra. Set to deliver in March of 2012, the new ultra upgrade includes an updated transmission, exhaust, cooling system, chassis, aerodynamics and a host of lightweight carbon fiber to live up to the famous ultra moniker. Full report following the photo gallery after the jump. Ingolstadt, November 17, 2011 – In 2012, the Audi R8 LMS ultra will succeed the successful R8 LMS GT3 sports car with which R8 LMS customers have won 115 races and 12 national and international titles in the space of just three years. Romolo Liebchen, Head of Customer Sport at quattro GmbH, and his development team focused on several central areas. New doors made of CFRP (carbon fiber reinforced plastic) in combination with high-energy absorbing new crash foams not only help reduce the race car’s weight even further but also result in another increase in passive safety. 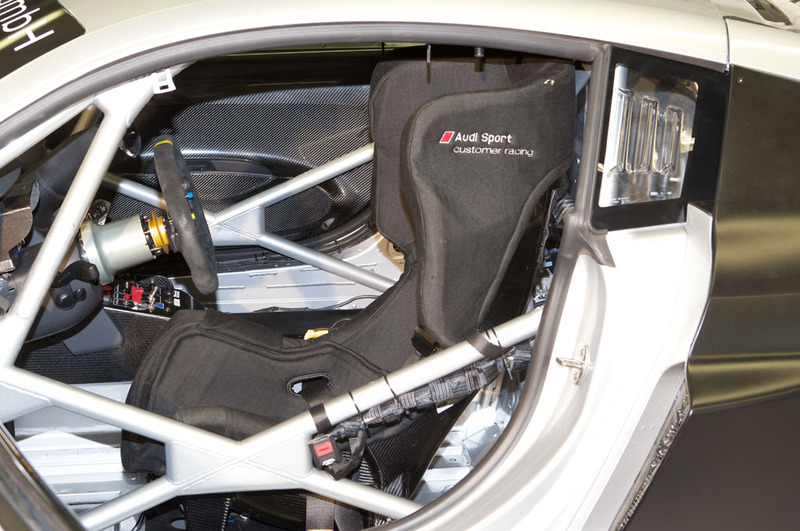 The new PS1 safety seat developed by Audi, which is now part of the standard equipment, serves this purpose as well. It offers perfect protection and clearly surpasses the mandatory minimum requirements under extreme loads. An updated transmission provides additional reserves on long-distance runs. In the past season, the Audi R8 LMS had already made its mark as an excellent long-distance expert and achieved overall victories at the Bathurst (Australia) 12 Hours, the Spa and Zolder 24 Hours and GT3 class victory plus third place overall at the Nürburgring 24 Hours. A new exhaust system equipped with race catalytic converters helps improve the engine’s characteristics. 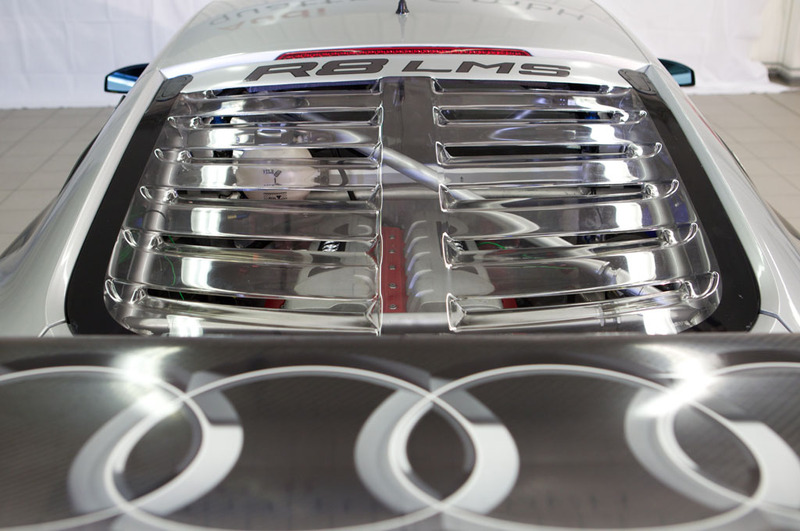 The V10 mid-engine can draw on even higher torque at lower engine speeds. The 5.2-liter unit delivers a power output of up to 419 kW (570 HP), depending on restrictor regulations. It is still based on the production engine produced at Audi’s plant in Györ, Hungary. Mileages of up to 20,000 kilometers were certainly typical in customer operations before and continue to be easily achieved. The optimized cooling system of the race car successfully combines several objectives. In addition to a larger engine oil cooler and transmission fluid cooler, an oil cooler for the steering hydraulics that used to be installed at the front is now located in the vehicle’s mid-section. 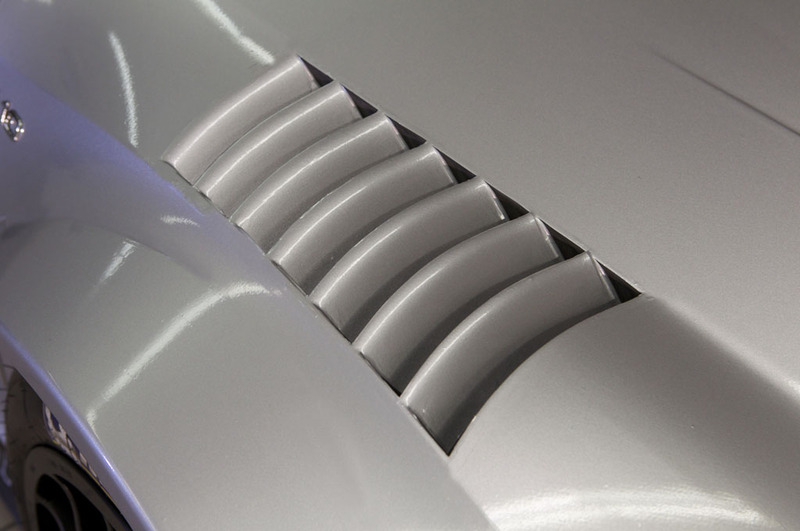 The characteristic side blades of the Audi R8 enable enlarged air vents for the cooling system in the new R8 LMS ultra for improved thermal management. At the same time, air supply to the radiator at the front of the vehicle has been improved, as has the interior ventilation. 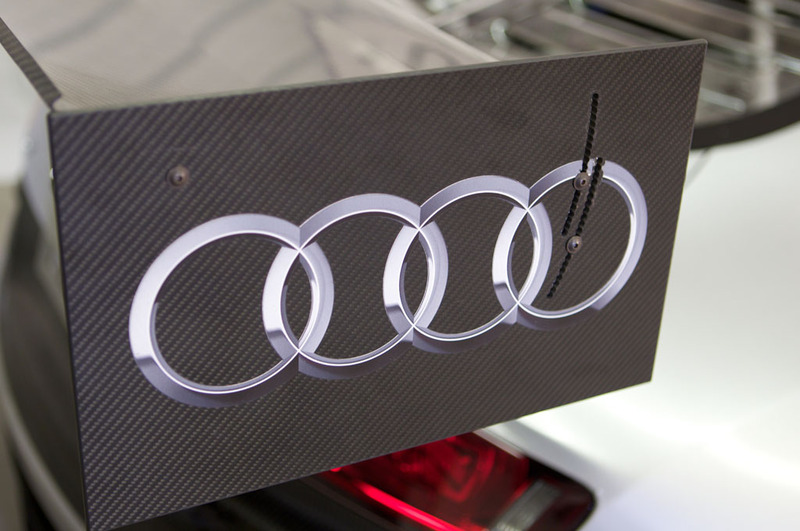 The chassis of the Audi R8 LMS ultra was updated in several steps. At the front 12-inch, instead of 11-inch, wheels are now used. As of the next season, development partner Michelin will be offering wider – 30-65/18 – tires, which allow more consistent lap times to be achieved. Optimized brake cooling at the front wheels improves the durability of the braking system. Instead of the previous silent rubber mounts the transverse control arm mounts now feature uniball joints. Weight-reduced compression and rebound-adjustable gas dampers with optimized characteristics from partner Bilstein complete the chassis package and represent the latest state of development. Aerodynamic improvements complement the changes for 2012. 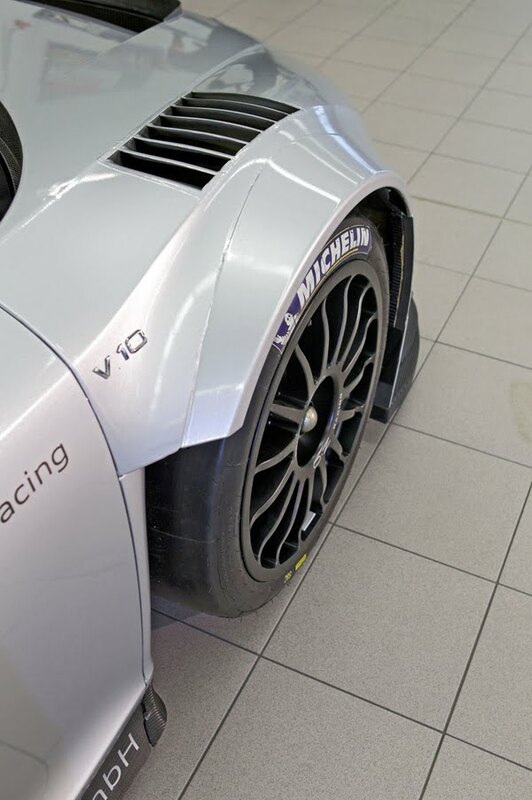 The wider front hood has been optionally provided with louvers, subject to permission by the homologation rules for the various racing series. The new rear wing has been widened and now features larger end plates. 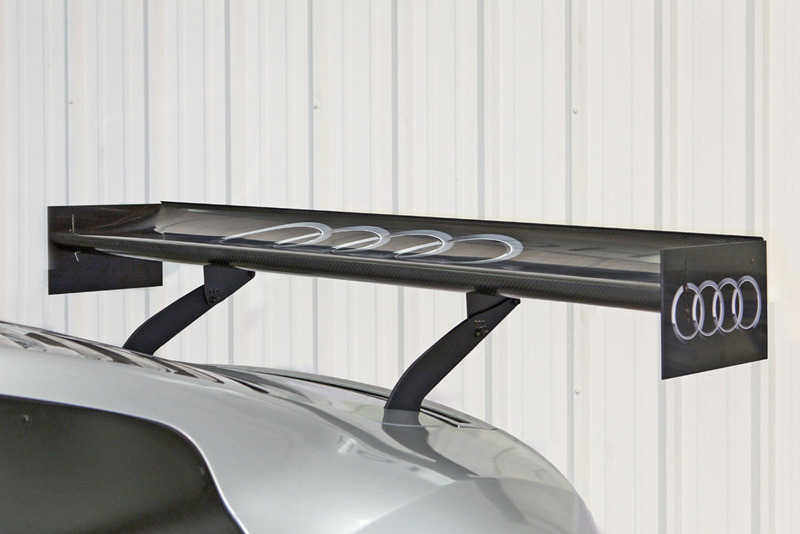 Work in the Audi wind tunnel has led to a yet more efficient position of the wing for maximum downforce and minimized aerodynamic drag. 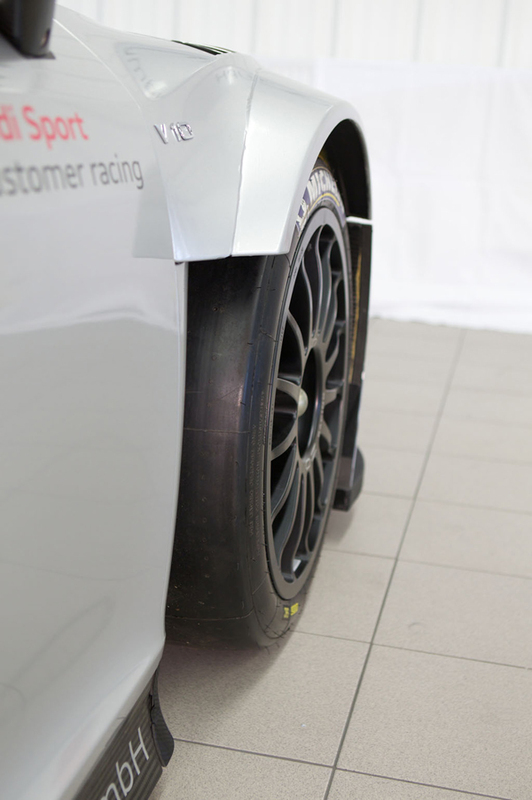 The improved air flow and larger effective area increase downforce on the rear axle. A new front plate with optimized diffusion under the front end guarantees perfect aerodynamic balance. As of 2012, all new vehicles will be equipped with the evolution stage described above. 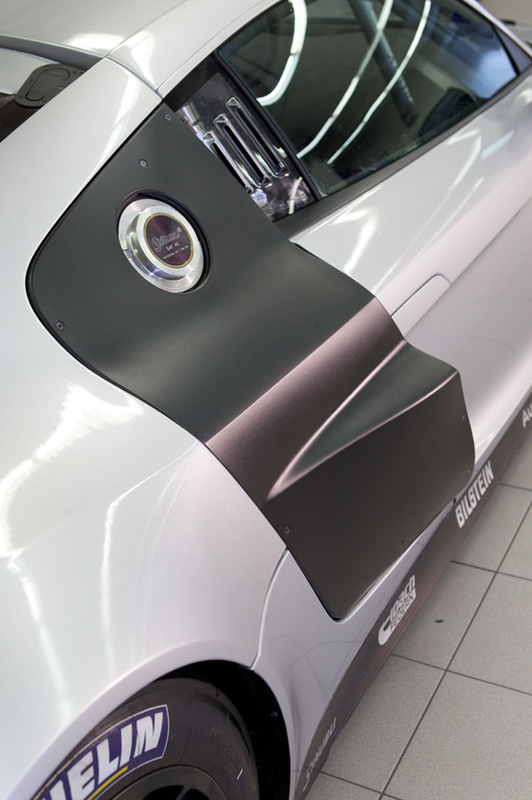 For the existing vehicles, quattro GmbH offers conversions to the 2012 evolution stage. In addition, Audi is pursuing a subsequent homologation for individual aerodynamic improvements to include the 2011-generation vehicles. This ensures that the current model continues to be competitive with slight modifications. 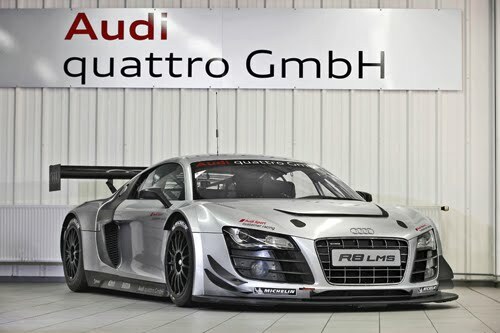 The selling price of the Audi R8 LMS ultra is EUR 329,900.00 plus VAT. Deliveries will commence in March 2012.